An internationally recognized trumpeter, bandleader and educator, Bob Montgomery has been one of Denver’s most influential musicians of the past 40 years. Although a native son of Garden City, KS where he’s an inductee of the city’s Hall of Fame, Montgomery has been part of the Colorado jazz community since the late 1970s. Bob was mentored by trumpet legend Clark Terry when he toured Europe with CT’s Big Bad Band. Mr. Montgomery has shared the stage with such icons as the late Nancy Wilson, Tony Bennett, Quincy Jones and many others. He has been honored for his excellence in education and has served as an important advisory board member of several prestigious educational associations such as the International Association of Jazz Educators (IAJE), the Telluride Jazz Celebration, Clark Terry All-American Jazz Camp and others. Bob was instrumental in launching the career of Denver’s own multi-Grammy® winning vocalist, Dianne Reeves. His band plays many local festivals and venues as well as touring Europe, Australia and the U.S. Bob Montgomery has many recordings to his credit. For his latest album, Bob recruited over 20 of his former students, many of whom have garnered national reputations, as well as many of his fellow educators to play his music. 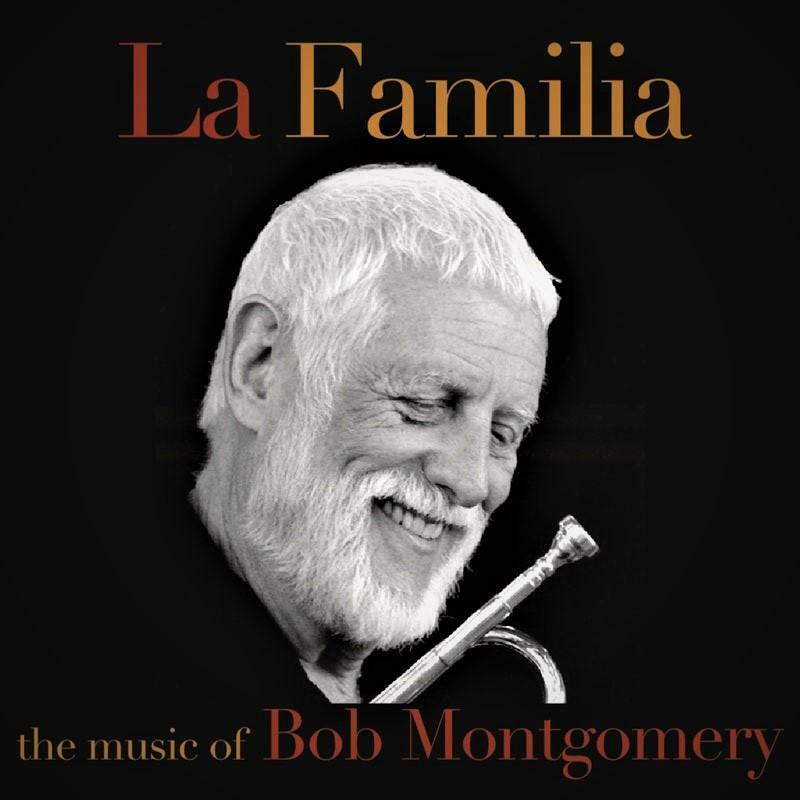 La Familia -the family features 13 compositions written by Bob in honor of his wife, children, their spouses and his grandchildren. The tunes were arranged by Montgomery and Annie Booth. Although the sessions include the playing of veteran musicians-educators, all the solos are taken by Bob’s former students, what a marvelous concept! After over 60 years of playing music and teaching, he decided to sit this one out and doesn’t play a note allowing his colleagues and former students do all the playing of his own compositions, Bob Montgomery just conducted the band leading to one of 2018’s most enjoyable recordings. The performances on this swingin’ CD are captivating and make it difficult to not listen to the entire project, start-to- finish. When you do conclude listening, chances are you too will feel to be part of La Familia!